We know that many of you are currently experiencing Lords of the Fallen crashes and multiple other issues, so we released this tutorial to help you play the game. Lords of the Fallen was released on 28 October and it is available on Steam.One of the most anticipated games from October, Lords of the Fallen is a hack and slash role-playing game developed by the german guys at Deck13 Interactive and CI Games. The game has been compared to other games like Darksiders and Dark Souls, but it’s way more awesome. The main character of the game is Harkyn, a convicted criminal that is the world’s last hope for salvation. The Demonic Rhogar army is re-emerging and Harkyn must fight them in order to save the world. This is the premise of the game, which will bring you in a world where you will need to defeat the gods that attack the human realm. As the many games released these days, this one has issues too.The most common Lords of the Fallen Errors that players encountered after the game release are: Game Crashes, Game Won’t Start, Lords of the Fallen Has Stopped Working, FPS Drops. Below you can see the issues described above and you will also find workarounds and quick fixes for each of them. Lords of the Fallen Crashes are reported by some of the gamers when they played the game or started it causing the game to stop. Follow the solution below to fix your crashes. Make sure you have 14.501.1003 driver for AMD GPU, the latest stable Omega driver for that card. Install, verify game files, reboot, run the game. Lords of the Fallen Freezes are similar to the crashes; some players reported them at the loading screen of the game or ar some boss fights. You can fix the freezes with the workaround below. If you are encountering freezes in the very high graphic settings on the game try to change them to high and this should fix your issue. Lords of the Fallen Game Won’t Start error is a Steam interface error that people get when they press the ‘Play’ button in Steam to start the game after they press this button nothing happens and the game doesn’t start. Lords of the Fallen FPS Drops, if you are encountering FPS Drops make sure that your PC can run the game properly, that you have the minimum system requirements.If you have them and you are still having FPS Drops or unstable framerate you can fix them with the workaround below. Another error that was reported is the D3DCompiler_43.dll missing error. To fix this error, you need to install the last version of DirectX; you can find it on google just search for it. After you install it restart your PC to avoid any errors. Now your game should start. 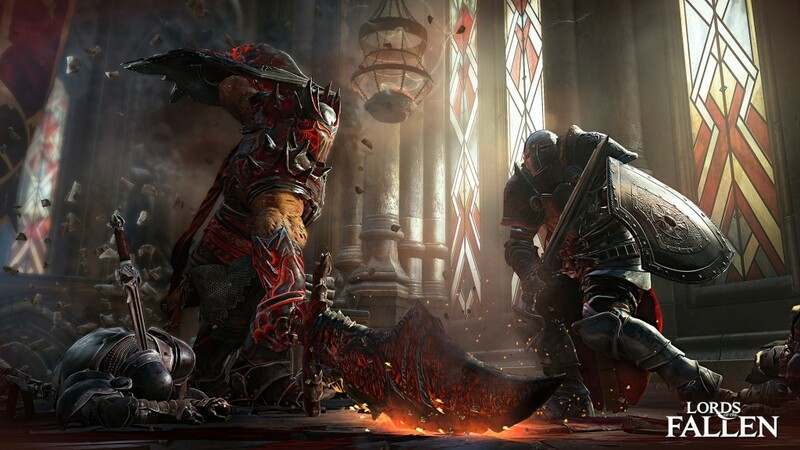 We hope that our tutorial helped you fix your Lords of the Fallen errors. Have fun playing the game, and if you have any questions or problems, please contact us with a comment below or by using our contact page. Finally i can play the game now with no crashes, thank you for this tutorial! my game keeps crashing from 5 minutes to 5 minutes, will this fix the game for me? Yes, our tutorial will fix your crashes and you will be able to play the game constantly! i have a problem, i can’t even get in to the game after the logo screen when the save icon appears it starts to run extremely slow and when i start task manager to exit the game it says lords of the fallen not responding does anyone else have this problem and how do i fix it? If your game is lagging as the music is stutter !!!! Here is the solution!!! Go To Search – Device Manager!! – Sound, video and game controllers!!! Check what is the brand of your audio card!! then download the newest verions of Audio drivers!!!! Hope it help you !!!!! I suffer from random crashes despite all temperatures etc being appropriate, will try this patch. Activision blocked playing Advanced Warfare with share play on the PS4. What a bunch of assholes. Lords of Fallen is amazing, is like the vikings from history! i buy the game want to play it constantly crshes with my gtx780! there was already a update 2 days ago did this fix the crashes hell no! The first thing to do is when u update a new game fukn fix the crshes becaus i have payed 50€ for this game an cant play it ! ummm…. need a fix soon!!!!! I downloaded the game from torrents, and when i start the game, it stops working and crashes…. I can’t even start a new game!!!! I can’t open the door on “find Kalos” after killing first warden. I press R but nothing happen. please help! Hey Mike, I hope your still looking at this page from time to time. My game always crashes right after the Courtyard boss. I zoned in and out of other zones.. but that portal.. a few seconds into it.. it crashes. I did the +com_skipIntrovideo thing – I also tried changing around res/options – checked drivers. Everything has been fine.. its just that 1 loading screen. The portal works.. but crashes half way through the load ing screen. lords of the fallen exe. stopped working. cannot get to play no matter what compatibility setting is used on windows 10. HELP! !